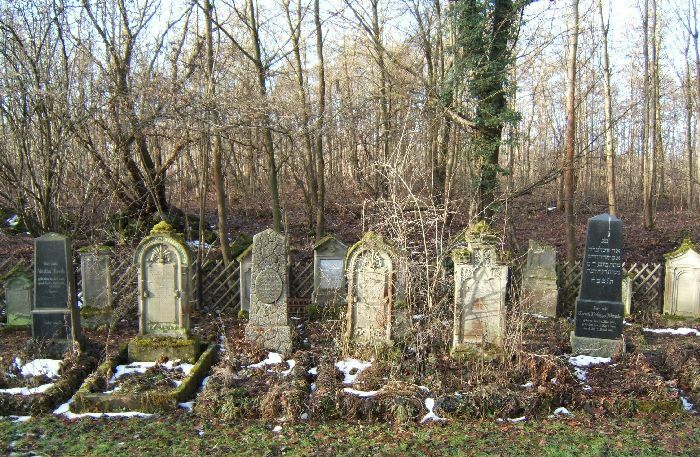 These pictures were taken on 21 January, 2006 in the Jewish cemetery outside of Wankheim. 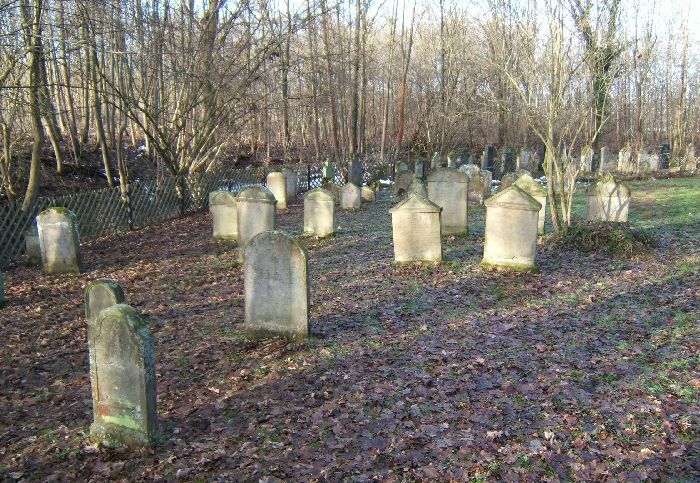 The cemetery is right near the B28 road. You can see it if you look real quickly in a time of year when there are no leaves on the trees. There is no apparent geographic connection to the town of Wankheim, nor the town of Kuesterdingen of which Wankheim is formally part. It is right next to the dump. The gate to the cemetery is locked. The photo shows how to get a key. You have to go to the city hall or find a particular private citizen. The Holocaust memorial is to the right, right inside the main gate. It reads in awkward German (influenced by Yiddish? 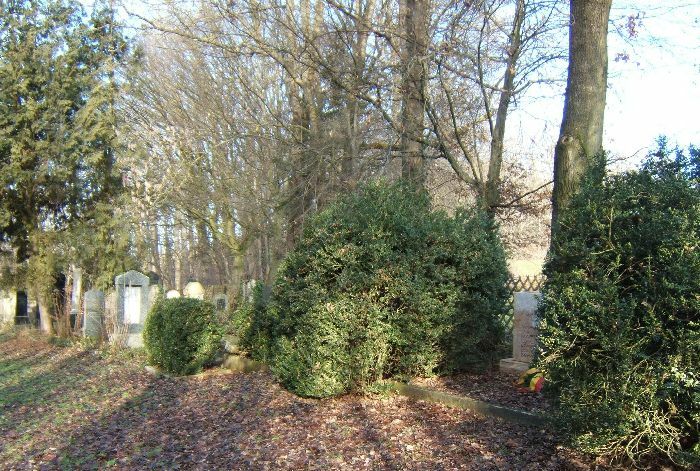 ): These are the victims from the community of Tuebingen who were murdered by the Nazis. 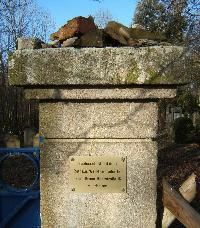 The names are only partially the same as those listed at the synagogue memorial in Tuebingen. 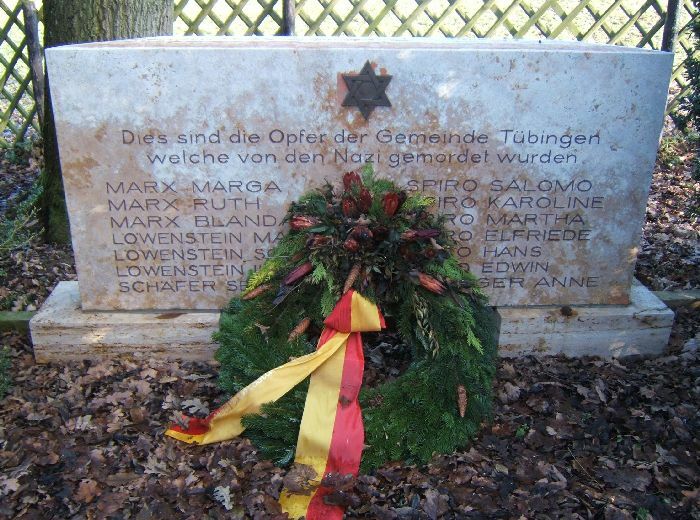 The wreath is from the city of Tuebingen. The star of David on the memorial was destroyed over New Years in 1990 and replaced. 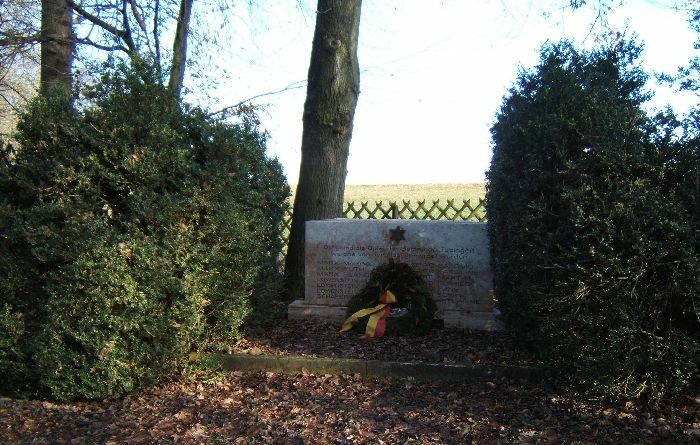 Here are two photos of other graves in the small cemetery. The best source on this cemetery is: Frowald Gil Hüttenmeister (in Zusammenarbeit mit Elke Maier): Der jüdische Friedhof Wankheim. Kulturamt der Stadt Tübingen: Tübingen, 1995.